“You have to make sure that even if you don’t agree you know how to compromise, that is the only way to succeed." 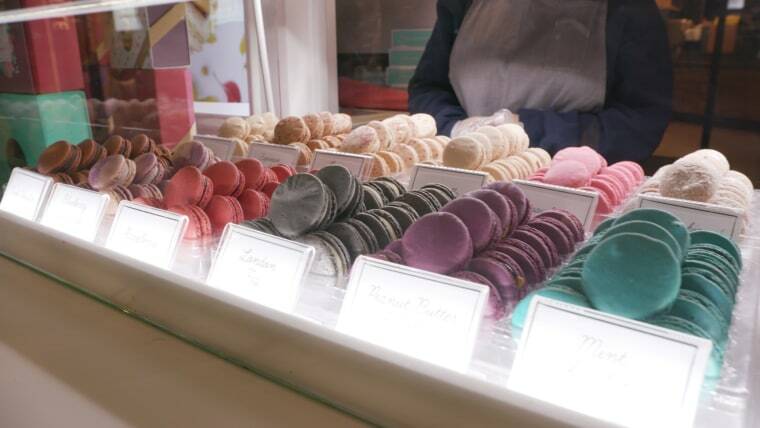 The famous Parisian pastry known as the macaron changed the lives of four friends when they opened up a pop-up macaron booth at New York’s Bryant Park Holiday Market almost six years ago. To their discovery, the popularity of the French dessert was in high demand and friends Tal Avivi, Raj Bhatt, Gal Danay, and Gil Kiryati launched their macaron company Woops! after the unexpected success. “We went for it, we opened a location and we made $250,000 in nine weeks,” Danay said. Since the launch of Woops! in 2012, they have become the largest macaron company in the country, with over 40 locations in the United States. The success of the business comes from the strong partnership between the four founders, they said. “It really happened organically, we just really knew what everyone’s strengths and weaknesses were,” Avivi, the VP of Branding and Design said. The other chief leadership positions were split up: Bhatt and Kiryati became co-CEOs, Denay became COO. However, equal amounts of ownership made executive decisions difficult and the team has faced its fair share of differences. The team values its trust and respect for each other and knows to leave egos at the door when it comes to negotiation and making managerial decisions. “You have to make sure that even if you don’t agree you know how to compromise, that is the only way to succeed,” Kiryati said. One important decision the team made was to start franchising the store in 2015. This allowed locations to expand across the country and grow the brand to a wider audience. Stores have opened in Colorado Springs, Nashville and New Orleans and they now have a heavy presence in mall kiosks across the country. Woops! was featured in Glamour as one of the coolest cafes in New York and was ranked by Fitt as one of the best coffee shops in the city. Attracting crowds of tourists and locals in search of a sweet snack, Woops! has successfully built a brand in the pastry industry.